“The most interesting human beings, so far as talk is concerned, are anthropologists, farmers, prostitutes, psychiatrists, and the occasional bartender.” So wrote Joseph Mitchell, the legendary New Yorker journalist and chronicler of the full spectrum of humanity in New York City from the 1930s to the ’60s, when his last columns were published. The critic Malcolm Cowley called Mitchell “the best reporter in the country,” while Stanley Edgar Hyman would later write that he was “a reporter only in the sense that Defoe is a reporter, a humorist only in the sense that Faulkner is a humorist.” But, before he found fame, Mitchell worked as a beat reporter with an unusually keen sense of style and uncommonly graceful prose at the now-defunct World-Telegram. There, he wrote a series of articles on the anthropologist Franz Boas, who influenced his trenchant observations of humanity. Man—with Variations republishes Mitchell’s writings on Boas, which weave together interviews with the great anthropologist and his students and colleagues to recount a formative period in American anthropology, as well as the journalist’s own compelling set of reflections on the human condition. 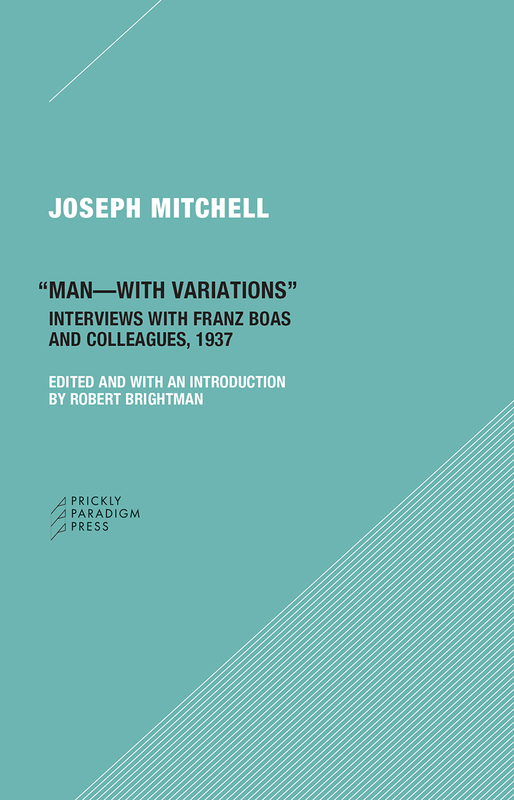 Man—with Variations will be essential reading for anyone interested in the history of the discipline, and it will also be welcomed by the new generation of readers who are discovering Mitchell’s work.